Rev. 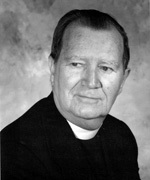 George A. Dempsey, CSV, died at the age of 63, in the 44th year of his religious life and in the 37th year of his priesthood. Fr. Dempsey suffered a heart attack and died on Dec. 4, 1976 while hearing confessions. Fr. Dempsey was born in Chicago on Jan. 8, 1913, and received his early education at St. Nicholas of Tolentine School. In 1932 he joined the Clerics of St. Viator at Lemont, IL. He attended St. Viator College, Bourbonnais, IL; Loyola University; and Kenrick, Seminary, St. Louis, MO. He was ordained on May 26, 1940, in the chapel of Quigley Preparatory Seminary North. Fr. Dempsey spent many years, 1944-1958, teaching history and English at Bishop McNamara High School, Kankakee, IL; Griffin High School Springfield, IL; and St. Philip High School, Chicago, IL. In 1962, he was appointed administrator of Sacred Heart Parish in Goodrich, IL, a post he held for 10 years. In 1972, he returned to Chicago, where he served for a year at St. Lucy Parish before his appointment to St. George Parish, Tinley Park, IL. The wake was held at Egan Funeral Home at 63rd street and Lawndale, Chicago, IL, from 2:00 p.m. to 10:00 p.m. on Tues., Dec. 7, 1976 and on Wed., Dec. 8, 1976, until 5:00 p.m. A wake service was held at the funeral home at 8:00 p.m. Tues., Dec. 7, 1976. The body of Fr. Dempsey laid in state at Saint George Church, 6707 W. 175th street, Tinley Park, IL, on Wed., Dec. 8, 1976 from 7:15 p.m. until 10:00 p.m., with a wake service at 8:00 p.m.
Funeral Mass was offered for Fr. Dempsey on Thurs., Dec. 9, 1976 at St. George Parish, Tinley Park, IL at 11:00 a.m. Principal celebrant of the funeral Mass was Fr. Kenneth Morris, CSV, provincial. 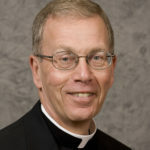 John Cardinal Cody was represented by Auxiliary Bishop Alfred L. Abramowicz who presided and gave the final commendation. Burial was at St. Mary’s Cemetery, Evergreen Park, IL. Please remember Fr. Dempsey in your Masses and prayers.